WASHINGTON — The United States Supreme Court has declined to hear a challenge to the Obamacare abortion pill mandate, and the insurance requirement as a whole, as presented by Liberty University. As previously reported, the Virginia-based university had sued the Obama administration last year, seeking to strike down the entirety of Obamacare by asserting that Congress has no authority to force Americans to purchase an unwanted product. Liberty’s lawsuit is the only legal challenge of its kind tackling both the employer abortion pill mandate and the insurance mandate in its totality. “If we win on the employer mandate, then the mandate would be gone for religious and non-religious employers,” Mat Staver of Liberty Counsel, which is representing the university, told reporters earlier this year. In July, the Fourth Circuit Court of Appeals unanimously rejected Liberty University’s arguments in challenging Obamacare, upholding the requirement as being rational. Therefore, Liberty Counsel vowed to take the matter to the United States Supreme Court. In August, the Fourth Circuit granted the university a stay against the Obamacare mandate until the case was heard by the nation’s highest court, but issued a separate order later in the day denying the stay. 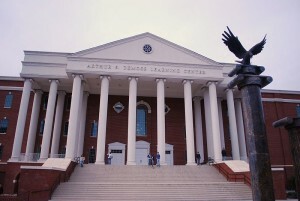 “Petitioner Liberty University is a private non-profit Christian university with sincerely held religious beliefs that prohibit it from playing any part in surgical or chemical abortions, including facilitating, subsidizing, easing, funding, or supporting abortions, or paying for abortion inducing drugs or devices as is required in order for it to comply with the Employer Mandate,” the university’s appeal to the Supreme Court stated. While the court declined to hear Liberty University’s appeal, which would have caused the court to re-think key parts of Obamacare that it had upheld previously, it did agree to hear the cases of two Christian businesses that had challenged solely the abortion pill mandate in the law. As previously reported, the Supreme Court announced last week that it would hear two cases: Sebelius v. Hobby Lobby Stores, Inc. and Conestoga Wood Specialties Corp. v. Sebelius.